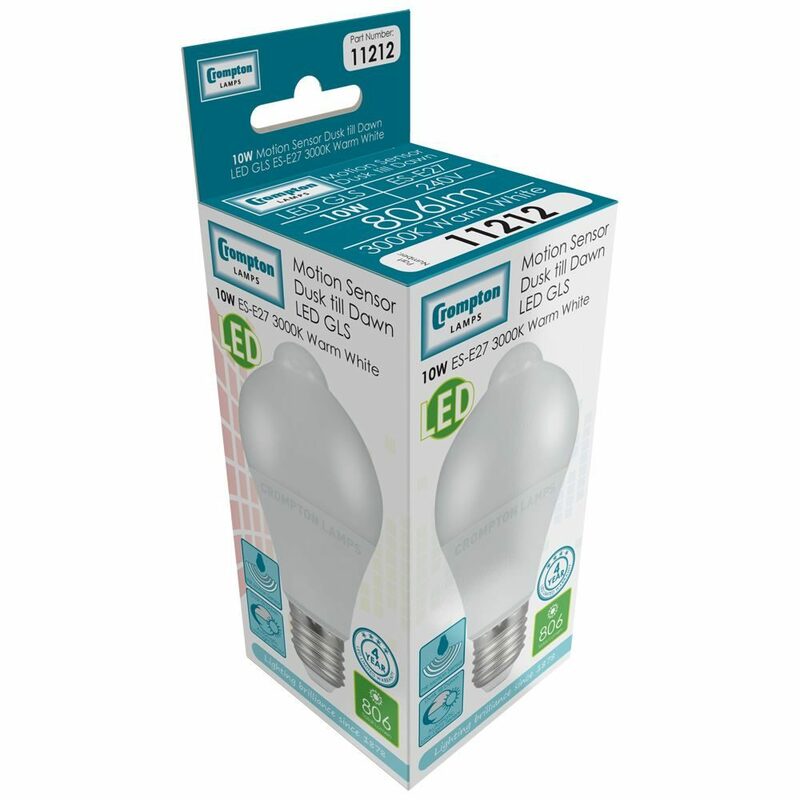 LED 60mm GLS lamp with internal PIR dusk till dawn low-light sensor. Automatically illuminates when movement detected (hold time 30secs) during periods of low light and turns off during daylight. Exact equivalent brightness for 60W traditional GLS lamps. 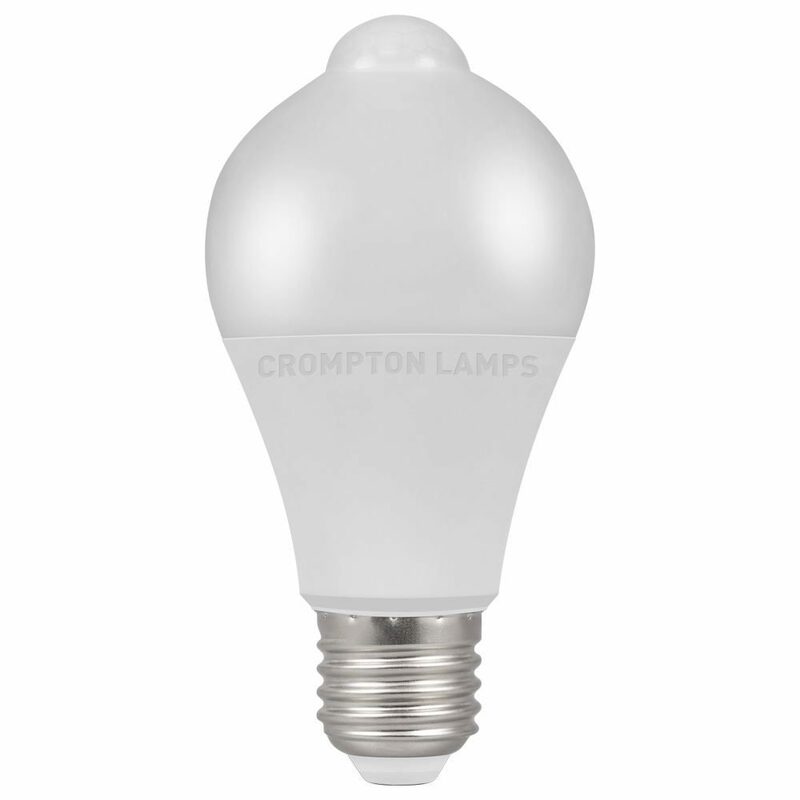 Constructed from lightweight, heat dissipating thermal plastic and opal diffuser. Dusk till Dawn Light and PIR Motion Sensor.